Our school schedule will begin August 4th. Class fees are due on the 1st of the month. A late fee of $10 is due after the 10th of the month. You can now register online! You will receive an email when you have successfully signed up. You will not have to pay when your register online. **Please note that we only accept cash and checks. Gymnastics Classes are split by levels. Intermediate: Gymnasts who have been in the sport for at least a year. Advanced: Gymnasts who have at least a kick over on floor and a pullover on bars. Registration and Fees: The Annual Registration fee for the first child is $30.00 and will be due at registration. A second child is a $25.00 registration fee. We have a family maximum of $55.00 registration fee for any families with more than two children. Students coming to class with unpaid fees after the 1st of the next month will not be permitted to participate in classes until the fees are paid. (Example: Come September 1st and you have not paid for the month of August, you will not be able to practice until fees are paid). A late fee of $10.00 will be charged for payment made after the 10th of the month. Fees can be mailed to the following address: Mountain Gymnastics Center, P.O. Box 45, Blairsville, GA 30514. Withdrawal: A written withdraw notice is required by the 15th of the month prior to the month you plan on not attending. You are obligated to continue to pay monthly fees until you inform Mountain Gymnastics Center in writing of plans to stop attending. Telling the instructor your child is dropping is not sufficient notification; you must stop by the front office and fill out a Notice of Withdrawal form or email a notice of withdrawal to mtngym@windstream.net. Make-Up Class Policy: Students are allowed one make-up class per month. This means that if a student misses two or three classes in one month, the student will be allowed to make up only one missed class. Make-up classes must be schedule with the office prior to the time of the make-up class. Make-up classes cannot be scheduled over the phone. If you plan on making up any missed classes, they must be made up during a month that your child is attending and fees are current. 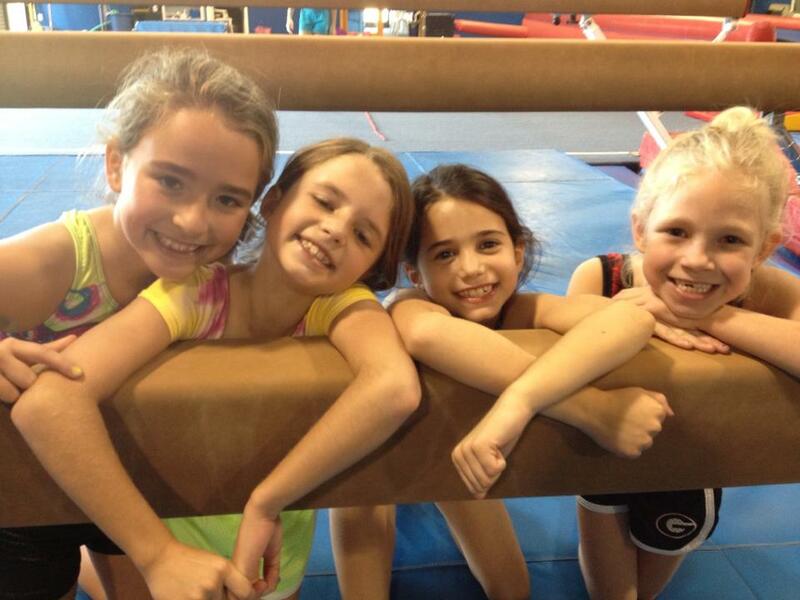 Students wishing to join the gymnastics team will begin practicing with the team in June. At this time, they will be removed from their class and only attend team practice. No skills are required, just a desire to compete and work hard. Summer practice is required. Please let Shelley or Caroline know if you are interested in joining team. We will have two summer day camps. They are open to girls and boys ages 5 and up. The morning is filled with gymnastics, games, and lots of fun! A snack will be provided each day of camp. *Please note that all schedules are subject to change. Please contact the gym at (706) 745-3325 or mtngym@windstream.net for a current schedule or for any questions you might have.